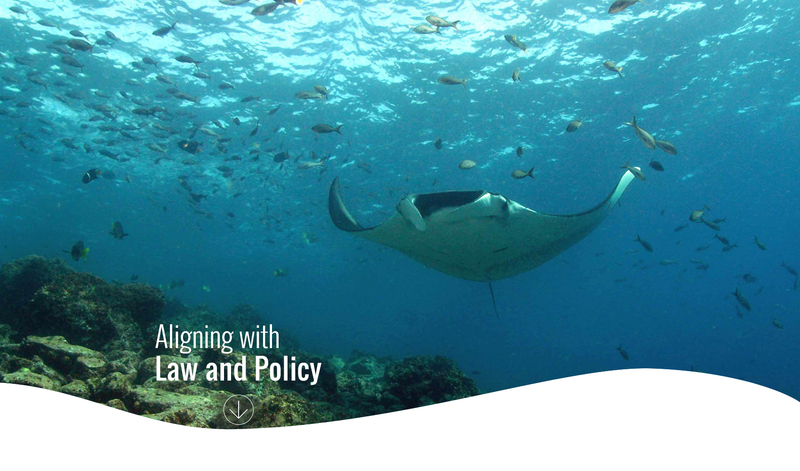 Environmental law is often about drawing lines to protect human and environmental health. For example, management schemes in the U.S. and abroad help define and implement acceptable levels of pollution, fishing, harm to individual species, and combined levels of stress on ecosystems. These “regulatory thresholds”—and the processes for developing them—are common components of management; however, they are often based on a linear worldview, and we are learning that human activities result in dynamic, and often non-linear change in natural ecosystems. This emerging science on ecological thresholds (or tipping points) reveals a new opportunity to better align these regulatory pillars with ecological realities. Best available science, cumulative impact, and cost-benefit analysis requirements, among others, are all mechanisms by which agencies may be required to incorporate new scientific information about looming tipping points into their decision-making processes. While tipping points concepts are not new to natural resource management, the systematic process and extensive guidance found in our guide can improve the identification and incorporation of ecological thresholds into management decisions. In some management contexts, incorporation of ecological thresholds is more familiar (e.g., fisheries and water quality), while in others such practices are not common despite the available resources (e.g., restoration). The table below breaks down the substantive and procedural provisions that facilitate threshold-based decision making in certain U.S. environmental statutes. The table details the existence or absence of best available science, cumulative impact, and cost-benefit analysis requirements and identifies specific areas where threshold targets are used or could be integrated when implementing these laws. Download the full table, including detailed footnote citations and examples.